The easiest way to stay compliant. 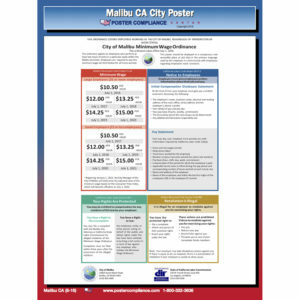 The OneSystem Plan offers required Federal and California State posters plus 12 months of mandatory updates for free! Details of the New Parent Leave Act (NPLA) have been added to the notice, along with new info regarding CFRA leave. Employees who work for employers who have 50 or more employees onsite, or within 75 miles of the worksite, may be entitled to CFRA leave. Employees who work for employers who have less than 50 but at least 20 employees onsite, or within 75 miles of the worksite, may be entitled to NPLA leave for the birth, adoption, or foster care placement of a child.